I find it a little strange that I ended up as the CEO of an ecommerce company. It was not in the master plan. But looking back, I guess it makes sense. In high school I was already selling products on Amazon and Ebay. I really wanted to create my own product, so I invented the first leather watch strap without holes. It worked like a zip tie where you slide the strap through the buckle and it caught on notches in the strap. I grew that business into a six-figure ecommerce store in the first year. Then I started looking at all of the ecommerce stores out there and realized that they struggled with their supply chain. How do you bring a product to life effectively? How do you streamline your supply chain? How do you cut your manufacturing costs? How do you manufacture products quickly? Trying to become the answer to those questions is how Sourcify began. We help brands and retailers source everything from hats and backpacks to bunk beds and casters. We also enable businesses to make their supply chains stronger, improve their margins, cut costs, and decrease lead times. I love bringing products to life and helping businesses digitally transform by increasing visibility in their supply chain, reducing costs, and attracting more customers to their brand. In doing so, there are common product sourcing mistakes I frequently see businesses make. Here’s what I’ve learned about avoiding costly mistakes, how to cut costs and how to manage factories effectively. 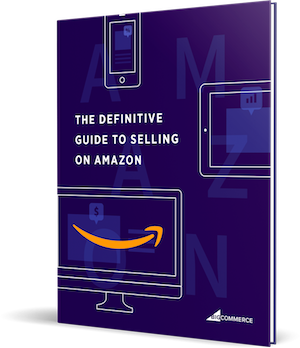 Achieving success in ecommerce can be elusive, but it shouldn’t be because you aren’t sourcing products properly. A lot of companies start out using a sourcing agent or going on open marketplaces like Alibaba. But once you scale up to $10 or $20 million, you really have to analyze your supply chain from a different angle. It’s very hard to improve all three at once, so you have to decide whether it’s better to produce the best quality products, the best priced products, or products that go to market the fastest. If you really want to cut your costs and improve quality and lead times, you have to dive deeper into your supply chain and understand who’s producing those specific pieces of your product. When you’re a smaller business and spending around a hundred thousand dollars overseas a year, you’re probably dealing with an assembly factory who puts your products together. I’ve seen companies cut costs by 30% by outsourcing assembly overseas, so even though it may be politically controversial, outsourcing overseas just makes economic sense. One of the biggest mistakes I see businesses make is mismanaging the dynamics behind their overseas sourcing, their inventory levels, and their marketing. Your sales channels and advertising spend influence how much product you can sell, which goes hand in hand with production and lead times. In today’s ecommerce world, it’s easy to start an online store on platforms like BigCommerce — especially when sourcing has become so easy through solutions like Sourcify. As a brand, you have to consider how to cut costs just as much as you think about raising revenues. Sourcify focuses on both, but we really think about a company’s approach to cutting manufacturing costs. One of the best ways to cut costs is to manufacture products overseas. To do that, the first thing you need to do is understand all of the pieces you need to produce your product. For example, if it’s fabric, you need to understand the fabric blend. You have to decide what kind of cuts they need because when you’re producing apparel, you need to know the sleeve opening, the cuff opening, and all of the rest of the little measurements that add up to your unit cost. Then you need to connect with factories. If you aren’t going directly to a factory, you’re doing it wrong. Factory direct methods will usually enable you to have the strongest margins while increasing your supply chain visibility. Another dynamic I see, which is scary for some ecommerce companies, is that factories are starting to sell directly to consumers. They’re using marketplaces and creating their own stores on platforms like BigCommerce to increase their margins. I’ve found that a lot of businesses struggle with how to find, engage, and communicate with factories to produce their product. A good rule of thumb is just to keep it simple and be both precise and concise. Send them a sample of what you want, including any logo designs that you have. If you can help them understand the products you want to make as clearly as possible, you’ll be able to streamline production and go to market faster. You also need to consider IP protection, especially if you’re producing a custom product and want to protect it overseas. As you investigate sourcing overseas, keep in mind that getting a patent or trademark in places like China is not worth your time. Fighting a legal battle there is extremely difficult and you’ll probably end up spending more than you get back. Start by protecting your product and IP in the U.S. It’s very simple to file a trademark, but not as easy to file a patent. If you’re able to protect your product in the U.S., you can actually stop that importation at the border. If your brand is protected by a trademark, other businesses can’t sell your product under your brand name without your permission. While you can cut costs by working with factories overseas, you could irreversibly damage your business by not getting a trademark or a patent to protect yourself domestically. Taking an idea and turning it into a product is a magical moment in any business. There’s a special feeling when you know the ins and outs of your supply chain, including a direct factory relationship. Factories in Asia are fueled by relationships. The stronger relationship you have with your factory, the better off you’re going to be in the long run. You should get to know more than one sales representative and, if possible, get to know their manager or the factory boss as well. When you grow to a scale where you’re producing six figures overseas, meeting them face-to-face is worthwhile. They’ll pay more attention to you and you will have a better understanding of the ways in which your products are produced. I also encourage you to use more than one communication method. Email is obviously pretty standard, but you should also consider using WeChat if your factory is in China because it’s their preferred messaging app. Communication is key, especially when you’re having products produced thousands of miles away. Without a strong relationship with your overseas factory, you’re not going to be able to grow to an eight-figure ecommerce company, which is what I want for your business. Feel free to connect with me personally if you have a product you want to bring to life while reducing costs and increasing visibility in your supply chain. Nathan Resnick is a serial entrepreneur who is the CEO of Sourcify, a platform that makes manufacturing easy. He has brought dozens of products to life over the course of his career and used to live in China. Download the book free here.